Greyhound Australia has launched a campaign to get locals moving again, injecting much needed funds into the Queensland tourism sector. Greyhound General Manager Sales Kevin Lyons says the company was deliberately targeting local travellers with its ‘Mates Rates’ campaign to mark the one-year anniversary of Cyclone Yasi. "The Queenslanders in the Yasi-affected regions need our support and there is no better time to show it," Lyons says. "Tourism is the life blood of many of these areas including Cairns, Mission Beach, Townsville and Innisfail and the ongoing global financial crisis coupled with last year’s natural disasters have gravely impacted the industry, putting local jobs at risk," he says. "With more than four and a half million people living in Queensland, each and every one of us can play a real and lasting role in stimulating the tourism industry and safeguarding local jobs." 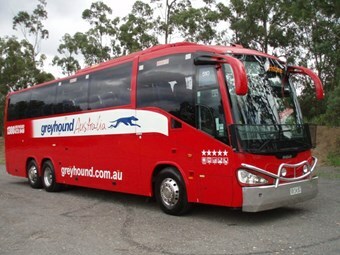 Lyons says Greyhound Australia’s ‘Mates Rates’ offers discount tickets for travellers in groups of two or more. "Passengers travelling in pairs buy one ticket and get 50 percent off the price of the second, while local tourists travelling in groups of three or more each get 25 per cent discount on travel," he says.